It’s a great time to be a comic book fan! There’s tons of movies out in the theaters, San Diego Comic Con is right around the corner and we got a brand new Pick of the Week Podcast! Talk about living the good life. Who needs money and big cars when you got comics? Sadly, our pal Ian had a family emergency and couldn’t join us, but Simon and Ken took it upon themselves to guess at what his pick would be. 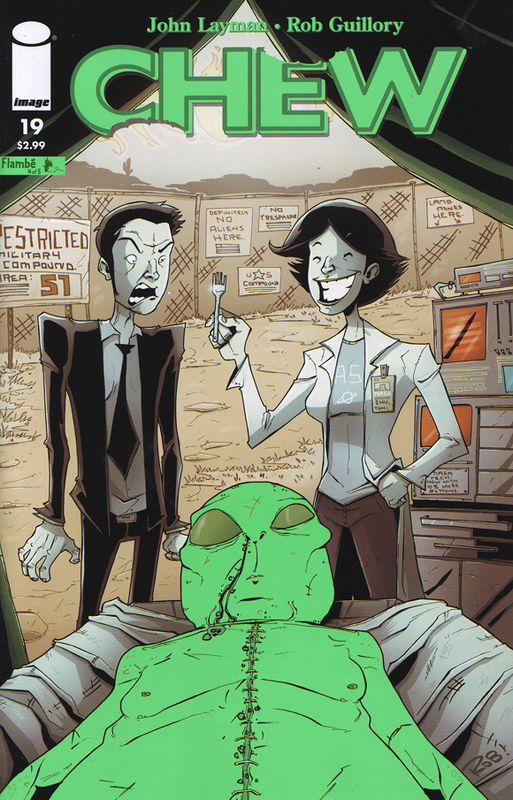 So join these two comic loving nuts as they talk about Ian’s favorite book, Chew #19. Is it really what his pick would have been? You’ll have to listen to find out. The guys also discuss: Flashpoint #3, Flashpoint: Abin Sur The Green Lantern #2, Flashpoint: Batman Knight of Vengeance #2, Flashpoint: The World of Flashpoint #2 (Simon loves his Flashpoint), Fear Itself #4, Fear Itself: Uncanny X-Force #1, Uncanny X-Men #540, Jonah Hex #69, Elephantmen #32, Moon Knight #3, and X-Men #14. All of that and the results of last week’s Poll of the Week!